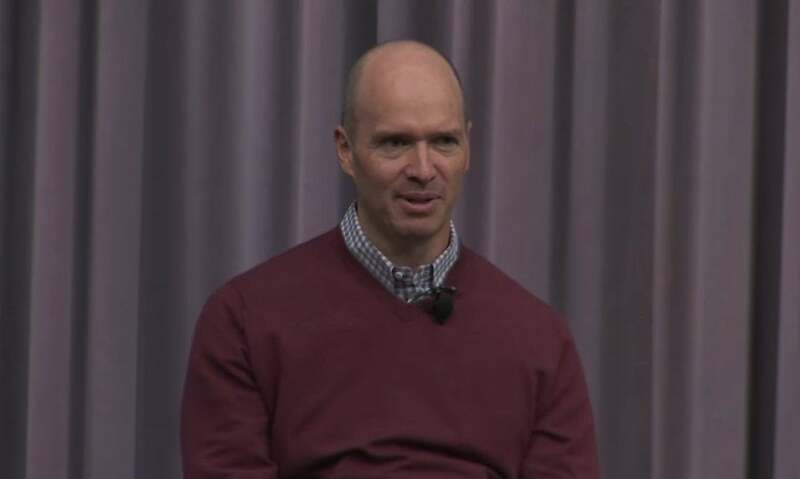 An interview and Q&A with venture capitalist and Co-founder of Andreessen Horowitz, Ben Horowitz. In this interview, Ben Horowitz discusses how he got into venture capital and his idea behind starting the venture capital fund A16z. Ben also talks about Bitcoin and skills entrepreneurs need to succeed. Why would you go up then. Peet's Coffee Coffee communism and weed but all else did Berkeley influence your entrepreneurial bent. Do you think. You know Berkeley when you're a teenager you know you tend to be rebellious and not want to do kind of what your parents do or what the establishment does in Dallas and Berkeley was hippies. So that kind of caused me to want to be the opposite of a hippie. And so I and I joined the football team and I was kind of just oriented around like what was going on in the world and wanting to be part of the. Society that I was definitely counsel to to stay away from. So it was kind of good in that way although I have a great feeling for Berkeley now that I'm no longer rebelling against that I see more value in some of the hippie culture and all these kinds of things. But you know that the rebellious kind of drove me from being a communist to being a venture capitalist. Well let's take the journey on that that transformation you went to college at Columbia and UCLA would you study. And what did that you know I studied computer science and in those days. Well when I got to Columbia computer science was a little bit of a kind of frowned upon major. If you can believe it you know given what's going on today in that there was a big debate in academia at that time that computer science wasn't really science that electrical engineering that was like real and that computers software is just like the tools you use to program the computer. Like it wasn't like there was nothing to it it was kind of a thin layer and it didn't warrant its own major. Like maybe a class but not a major and so were you know everybody in the Major was like what these guys idiots. You know they actually try and understand like how a compiler works and so forth and then and then make that claim. But that was kind of the beginning for me. Is a funny sort of question perhaps but what do you wish you had learned or spent more time and I just been thinking about that myself. I went to Berkeley and first time I've ever admitted it here but three times but I always had undergraduate engineering and I avoided sociology and psychology classes of course. Now being entrepreneurship professor for 20 years that's exactly the roots of entrepreneurship. So what are you. What are your regrets if any about what you study. Well it's funny because when I was in college the thing that I thought I was doing that was a huge waste of time was I was completely obsessed with rap music. And you know I would listen to it constantly and it to the point where in those days there was actually no there were no rap radio stations and there was no and Yo MTV Raps hadn't come out yet or any of that stuff. And so there were only two rap shows and they were only on one day a week on Saturday night. So I wouldn't never go out on Saturday night I would sit at home because I had to record them and then in those days it was you know it wasn't like these fancy like record to disc you had a like tape you would press record and then when it got to the end of the tape you had to be there to flip it around and do it and then if you were smart you would be there to pause on all the commercials so that you could get more life out of your tape. So I missed like all that college life and I was like wow I probably wasted a lot of time but now like my whole career is kind of.